Financial Services sales scripts & Financial Planners scripts. 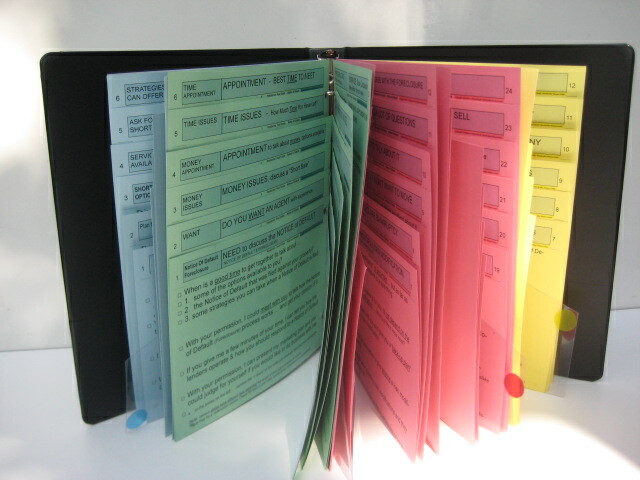 Financial Services scripts and Financial Advisor scripts. Financial services scripts are designed to help you get new clients and build your business. A Financial advisors script depends on the words used to make prospecting calls to a wide range of people. Scripts for the financial planner is a unique tool that stands ready for when you must come up with the right words when making a telephone call to a potential prospect. Simply put, everyone needs a script for prospecting for new business. Financial services scripts come cut-down ready to use right out of the box! Just stand the Financial Services script in front of you when you make prospecting calls. It's just that easy! We provide you with a tangible product that you can use immediately. It's not something you must assemble or make yourself. You can be prepared with the right words that will get you more appointments and more sales. 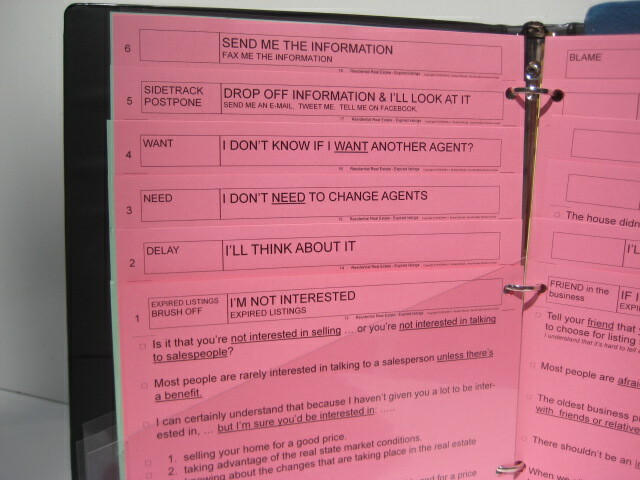 Smooth-talker sales scripts for financial advisors use the same colors as a traffic light. The color-code is the most important element in locating an appropriate line of dialogue. They are printed on Green, Red, and Yellow 90lb. card-stock. Green is to go, Red is to stop and listen, and Yellow is to proceed with caution when you sell something to someone. a potential etc. Usually you will talk about money, best time to meet, decisions, closes, getting agreements etc. products & services. You will have the reasons the choose you & your company written down in advance. Note: Go to the bottem of this page for a complete list of the page headings for Financial Services. You want to have traditional objection responses because you have very little time during a prospecting call. The color-code makes it easy to make prospecting calls. It's the words that you use and what you say to a prospect that counts. Financial services companies' profits depends on revenue generated from calling prospects to sell financial services. The value of a financial advisor script cannot be overstated. They need a financial services script to know what to say to a prospect. 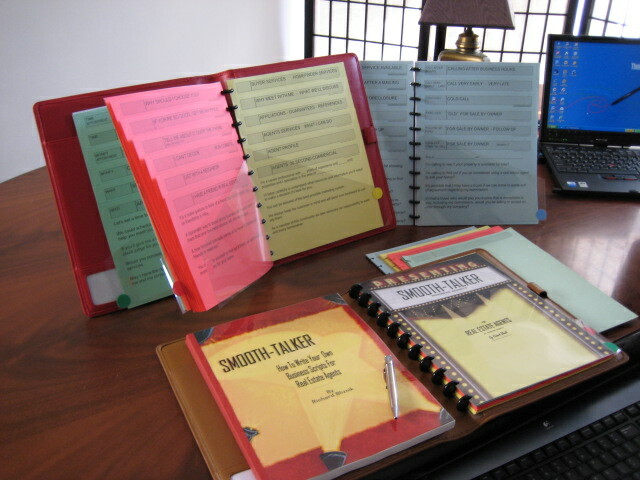 There are no other sales & prospecting scripts on the market like Smooth-talker Sales & Prospecting Scripts. We are the only supplier of professionally written scripts for Financial Services and scipts for Financial Planners. The value sales scripts is that they work .... consistantly. 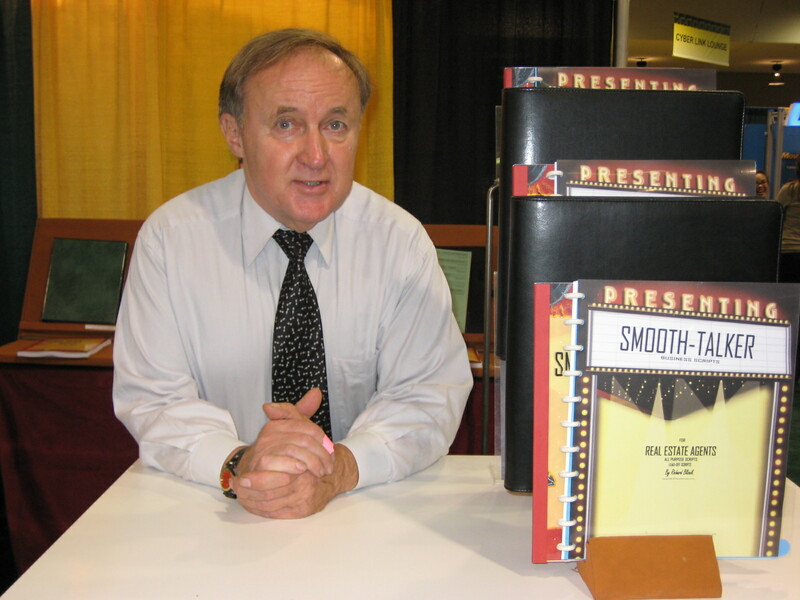 I am the author of the book: "Smooth-taker, How To Write Your Own Prospecting Script." I wrote a book as a result of 38 years of experience in prospecting and sales. It's a book that has seldom been written before because the people who write most books have never really been on the front lines of prospecting for new business. Written for easy reading with the words that people understand. I wrote every single word of the scripts for Financial Services and scripts for Financial Planners that I publish. I didn't use (steal) any other people's version of the words and dialogue. 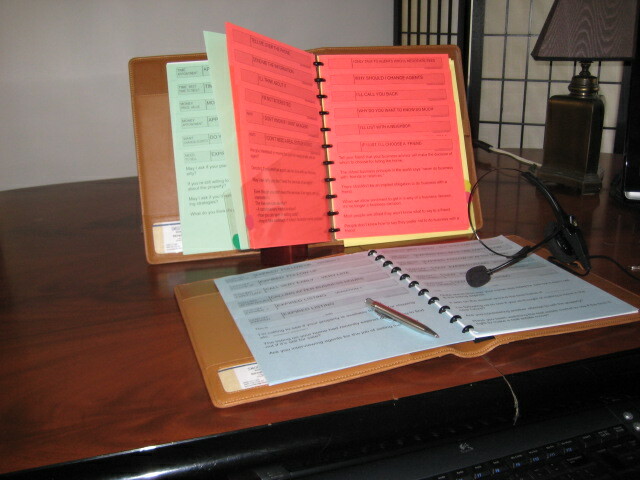 The scripts were written from making tens of thousands of prospecting calls. After 20 years of being a real estate broker, sales manager, and trainer for a 60 agent office, I realized that salespeople hated to make prospecting calls because they couldn't remember what to say to a prospect. The rejection was just too much. These are heavy-duty scripts that will stand up to extreme use. We offer these financial services scripts to match the extreme usage. They will stand up to the rigors of a financial planners prospecting. Financial services professionals typically average about 500 active clients. That means they must call over 1,000 potential prospects a month to maintain their book of business. Paper scripts will be shredded in couple of weeks at that rate. Lots of "bang for the buck." If a Financial services script turns out to be the best moneymaker, it is worth thousands of times its cost. They only cost $97.00. The scripts are a real bargain compared to the return you'll get. We've managed to make scripting affordable. It is designed to provide the financial services professional the same help as the big companies. 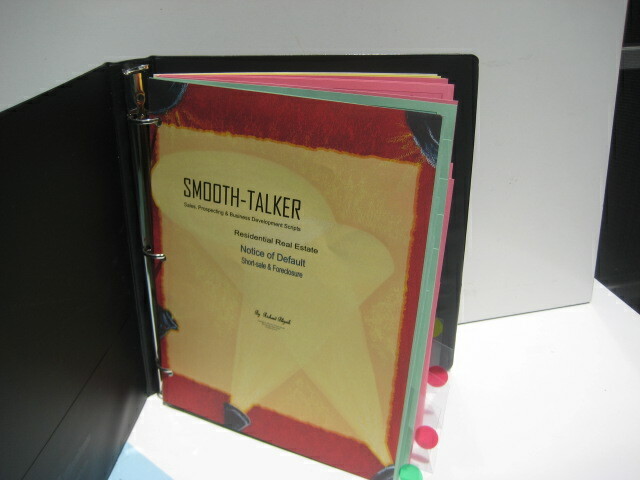 There are no other sales & prospecting scripts on the market like Smooth-talker Sales & Prospecting Scripts! 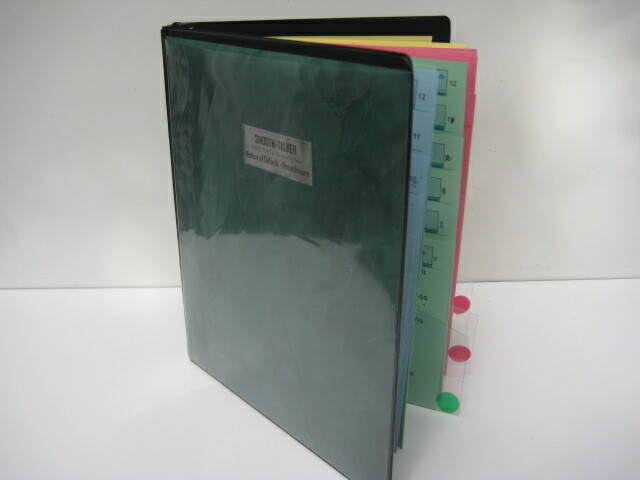 They are the only supplier of professionally written financial advisor scripts. The value of sales script for financial planner is that they work. Each "1-liner" offers a different approach to responding to an objection. Talking to a prospective new financial services client requires saying just the right things to them to put their minds at ease regarding their finances. Getting new clients for the financial advisors usually depends on getting their foot in the door for the first step of the business process which is getting an appointment to present their services." Should you hire more financial planners? You don’t need to hire 20 or 30% more financial services professionals when it's easier to increase their efficiency by a similar amount. You’ll wind up with the same proportion of your financial services salespeople's competency if you can increase their skill level. If it were true that financial advisors could generate new revenue from simply making more calls, it would be easy enough to hire more salesman. because of the low prospecting hit-rate. Increasing the "effectiveness" of financial planners that you have is far more profitable effectiveness is less expensive then hiring more staff. Only the bottom line counts! It's possible to increase the financial services professionals income substantially if you can figure out how to get them to make more calls. You could further increase profits if you can enable the financial planner to improve their hit rate and increase their ability and get a higher percentage return on the calls they make. The Holy Grail of the financial business is to increase market share. The boss, his boss, and the boss's boss all share in the overwhelming need to increase financial services market share for obvious reasons. The total amount of potential financial services customers is not likely to change and if it does, it change slowly. It's the only “zero-sum” game in town that says when one fincial planner wins, another loses. Prospecting results in denying revenues from the competition. Financial services prospecting can lead to untold amounts of income for the financial services company. The good part is that the cost incurred to get a new financial services customer is nil. The cost of getting a new client is what it's all about. The winner takes all. If you have a lock on the prospect/customer and they're on your side of the ledger, in effect, you are denying them from the competition. Any time you can do that, it is one more new financial services customer that is in your domain and not in somebody else’s. When the cost of pursuing a prospect ceases, and instead, the revenues start coming in. The cost of not pursuing a prospect increases especially if market share is critical. If you don't get a financial services prospect now, capturing them later may cost the a lot more in the future. As the cost of pursuing financial services clients increases, the cost of financial advisor scripts will seem negligible. New customers vs. existing customers. How much of your profits are from new financial services customers and how much from old customers. If the ratio of new to old customers is high, your financial planners are glorified order takers. It may mean your business is on a “slippery slope” and your financial advisors are only capable of calling on captured business meaning follow-up calls to your present clients. Clients of financial advisors who were no longer in the business is a good target. You can't just rely on just schmoozing and doing the fun stuff. The financial services world is more competitive than ever before. Financial services professionals can no longer do just the “fun stuff” and expect to have business fall into their laps. Some financial planners still think that just showing up the main ingredient for success. “Schmoozing” and “back slapping” fail to win over today’s savvy financial services prospects. New prospects enter the financial market like clockwork. New financial services business prospects come into the market everyday, like clockwork. Time is not on the side of the financial planner trying to reach new markets. You may discover a new prospect with excellent potential who hasn’t yet established a relationship with anyone. The laws of economics tell us that adding business tools that increases revenue results and is more profitable. Customer turnover is a fact of life. In the financial services business world, how long a customer stays with you is extremely important. In the financial services world, half of your customers move out of town and the average financial services customer has a life expectancy that is measurable. You can count on them for income for a certain period of time. It's a hard fact of life but once you accept it, you'll be in a better position to plan for it. What are financial services worth to you over the course of time? Their value as a steady customer is worth far more than the cost of generating them. The lifespan of average client is a major factor. How much is the bottem line affected if they buy financial services with you more then once? Competition can come from any number of sources. Customers may leave you because of real or imagined dissatisfaction. 1 coming, ... 1 going, ... and 1 paying customer. The financial services business is always in a state of flux. If you have more coming then going, you’re growing. If you have more prospects going then coming; it’s inevitable you’re going out of business. It is a cold hard fact of life. I wish I could say it with more diplomacy, but you can’t stand still. At a meeting of women fincial planners, I heard of a startling statistic, 70% of women change financial advisors within three months after their husbands death. and an up-grade to a Genuine Leather portfolio. 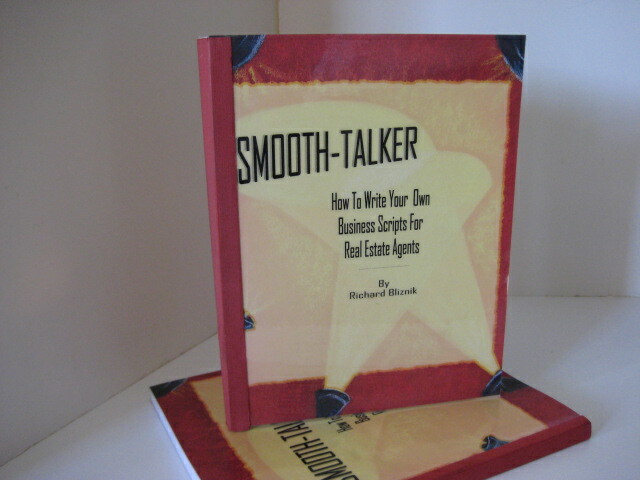 "Smooth-talker, How To Write Your Own Sales & Prospecting Script"
GREEN 24 pages total. You are doing the talking and conversing. They are single purpose, stand-alone scripts. The dialogue identifies you, gives a reason for the call, and states a brief selling message. Building my business. Building future clients. Replacing my clients who bought risky investments. Previously contacted. Does the prospect Need financial services. Do They Want My Services. Have You Made A Decision. Discover Potential For Doing Business. Up to 6 responses on each page. Each 1-liner give a different approach to the objection. I don’t need financial advisor. I don’t want any financial services. I’m not interested. Not interested unless the price is right. I don’t want whatever you’re selling! I don’t trust financial advisors. How do I know this isn't a scam? If I want a financial advisor, I'll call one! Friend in the business, sells similar services. Why should I choose your financial services? I get a lot of calls. I had a bad experience with financial advisor. YELLOW 12 ages contain the traditional selling language & the reasons to do business. There are blank spaces for you to put your own personal information. 30-Second Commercial - aka: elevator pitch. Financial Services Profile of you and your company. 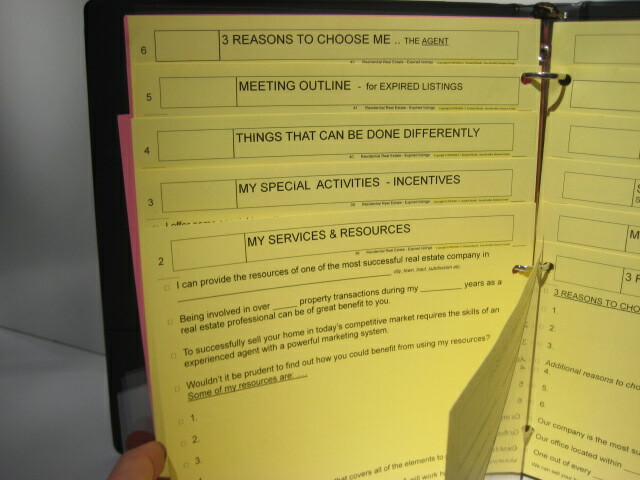 Why Meet With Me - Meeting Outline. 3 Reasons to Choose Me As Your Financial Advisor. Benefits of Choosing Me As Your Financial Advisor. My Speciality. My Resources. Advantages of my / our financial services. Things that I can do better. Passive marketing & advertising methods are costly and unprodictable. The financial services customer coming on board may only be replacing the customer who is on their way out. When business is going down, the staff of financial planners must prospect enough to generate at least the amount of business necessary to maintain status-quo. Marketing methods are passive to the extent that you never know exactly if they are working and how much business they produce. Lack of discipline is not the real reason a financial planner will avoid prospecting. Lack of discipline is a common bit of stereotyping, but it's quite wrong. Discipline or lack thereof is not the real reason that financial advisors will avoid prospecting. How many financial planners can truly say that'd just as soon avoid prospecting if given a choice? Everyone agrees that it should get done, but that it is someone else's responsibility. Scripts for financial advisors for calling to get new clients due to their unique objection rebuttals & responses. Often in training a financial services, the actual words that are used get glossed over. 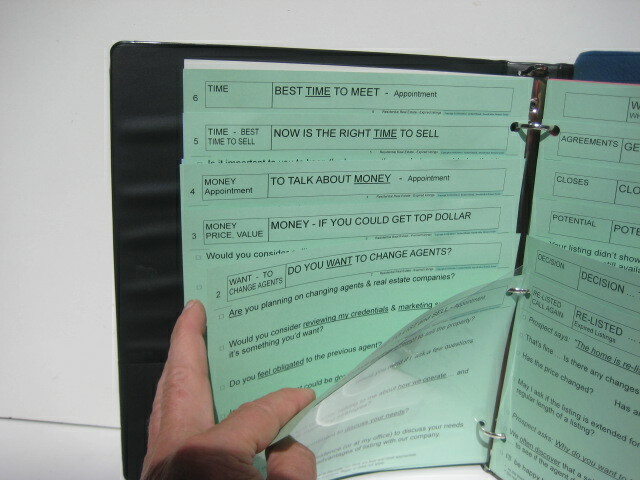 A script for financial planners adds the proper dialogue to every prospecting situation. If you avoid prospecting for too long, you won't have anything to worry about any way. Enough said.